It’s official! 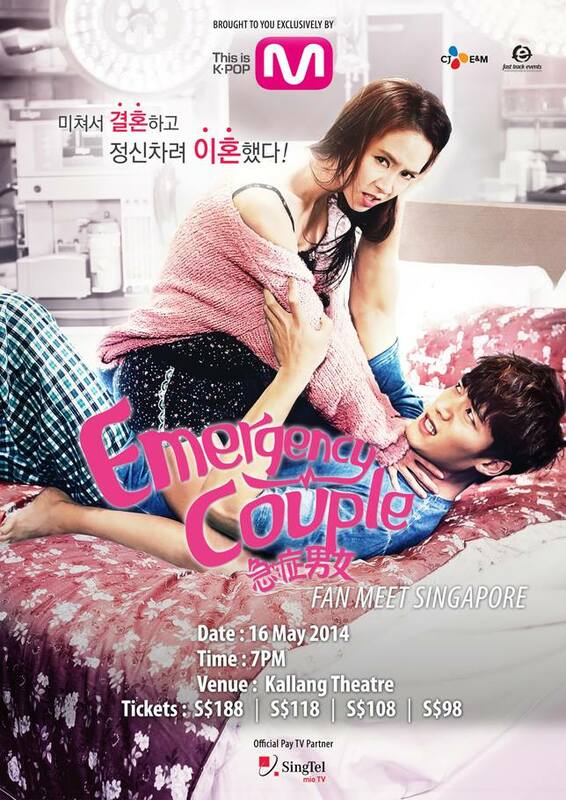 Emergency Couple is coming to Singapore for an exclusive fan meet this May, where fans will be able to catch the 2 main drama characters (Song Ji Hyo & Choi Jin Hyuk) up-close and personal in action. 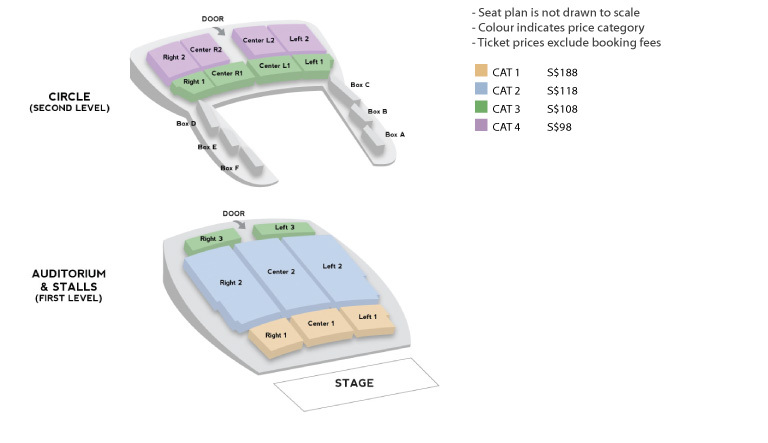 Presented by channel M, the official organiser of the event, Emergency Couple Fan Meet in Singapore is set to take place at The Kallang Theatre on 16 May 2014, and tickets are available for grabs via SISTIC, the official ticketing agent for the event. The popular drama is premiering on 21 April 2014, every Monday and Tuesday 10pm on channel M, SingTel mio TV Channel 518. The 2 main characters that are acting as the couple comprises of Song Ji Hyo as Jin Hee and Choi Jin Hyuk as Chang Min. While Song Ji Hyo made her first official visit to Singapore with the Running Man team last October, this is Choi Jin Hyuk’s maiden trip to meet the fans here. 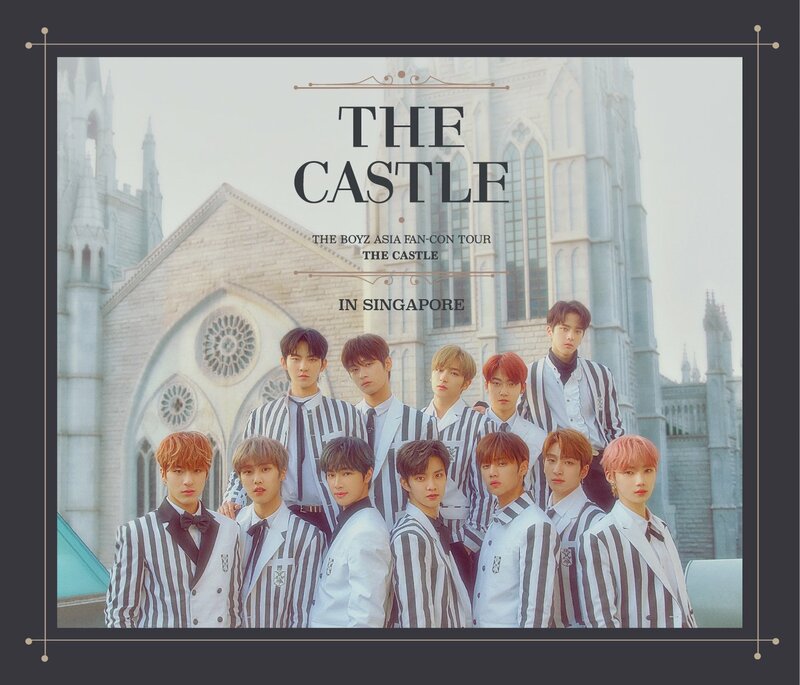 All categories of tickets are available for purchase via SISTIC, and a 5% additional discount* will be extended to SingTel Mio TV subscribers from 12 April till 16 May (*for purchase at SISTIC agent only). Emergency Couple will premiere on channel M (SingTel mio TV Ch 518) on 21 April 2014, every Monday & Tuesday at 10pm. 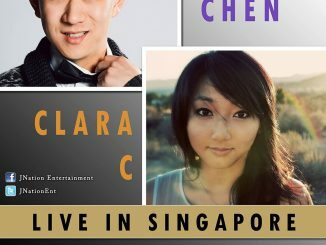 Make sure you catch the popular drama and mark the date in your calendar as we countdown to meet the cute couple in Singapore! 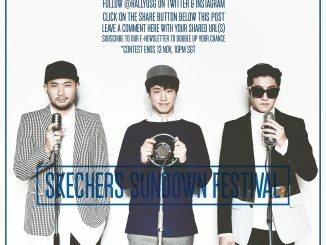 Stay tuned to us on Twitter for more updates on the above event!